GSR Soundgears are now the most popular basses in their price range in the world. With GSR Soundgears, you get the looks, tone and comfort—and the same warranty, rigorous set-up and inspection—of Ibnanez most expensive basses. 2003 GSR models come equipped with the pro B10 bridge for even better tone and stability. 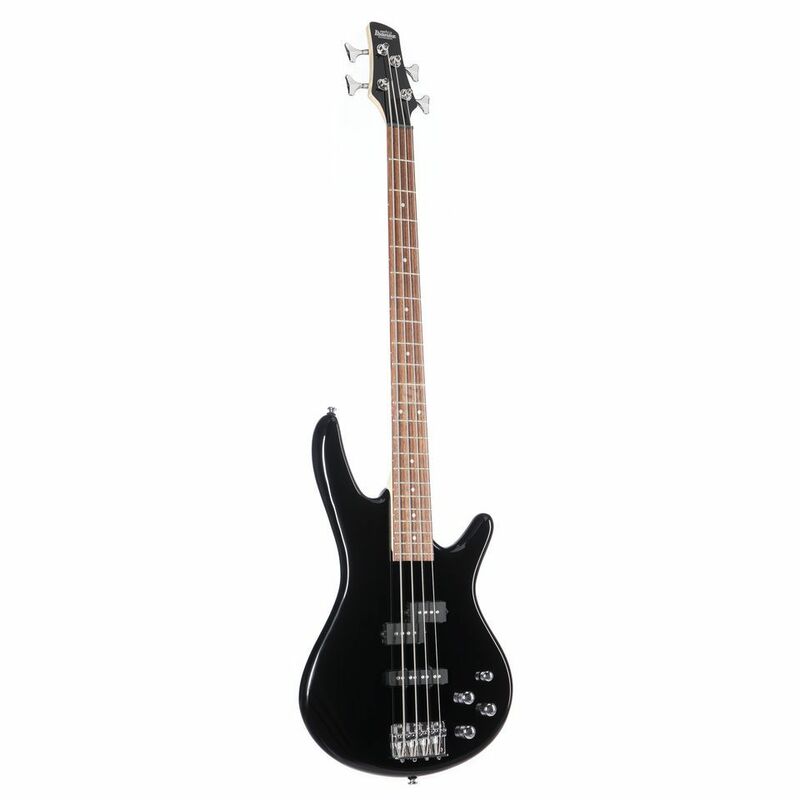 The Ibanez Gio GSR200-BK Black is a four-string bass guitar built to deliver the famous Soundgear comfort, tone and playing experience through its look and components. These guitars have been rigorously inspected and meticulously set-up to make them superior within their price range. Constructed with a mahogany body that has been carved into the same ergonomic and instantly recognisable shape as the brands high-end SR models, this guitar contains a 34” scale maple neck with a highly playable profile that is unique to this model. The playing surface is a 22-fret rosewood fingerboard with white dot inlays. This Ibanez guitar is equipped with a versatile pair of pickups including a Dynamix J single-coil at the bridge position and a Dynamix P split model in the middle position. These pickups combine to deliver that classic Ibanez crunch for chords and singing leads, controllable via two volume controls, a master tone control and a Phat II EQ control to add some extra low-end power to the mix.